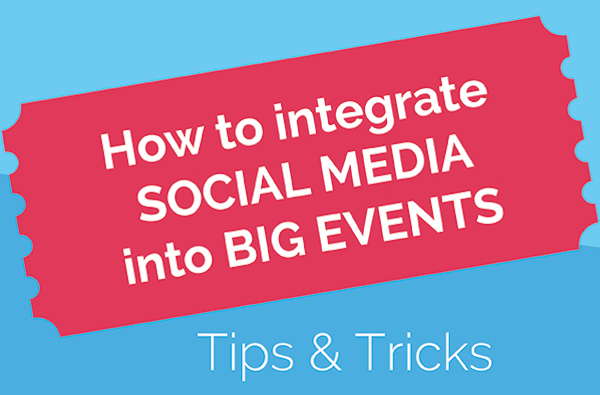 Using social media to raise awareness of, drive signups and organise your event is not only smart but absolutely a proven technique, with every major show around the world utilising platforms such as Twitter, Facebook, Instagram, Vine and Pinterest to power the big day. By providing networking opportunities, implementing hashtags, organising contests, creating social walls and delivering excellent customer care, you can use social media to promote and support your event in a manner that is both cost effective and efficient, often with remarkable results. 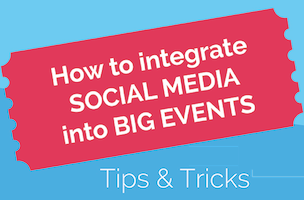 This visual from Neomobile proposes tips and tricks for integrating social media into your big event.